Amazon (s AMZN) may be considering extended warranty and repair services similar to Apple’s AppleCare (S AAPL), according to two trademark application the company filed earlier this month. The applications also suggest that the company may expand its Kindle brand far beyond the current segment of tablets and ebook readers. The funny thing about that description is that it’s essentially a copy of Apple’s AppleCare trademark, which covers the “maintenance, repair, updating and installation services for computer hardware, computer peripherals, computer networks and consumer electronic devices,” and so forth. You get the idea. Amazon also filed for an associated trademark for “insurance and warranty services” to underwrite warranty and extended warranty contracts for these kinds of repair and maintenance services, which again is more or less a copy of an AppleCare trademark filed by Apple. Amazon didn’t respond to our requests for comment, and the copy and paste job on the trademark may just be one of those funny things lawyers do to keep their line of work interesting. But the mere fact that Amazon is thinking about applying the AppleCare model of extended warranties is intriguing. 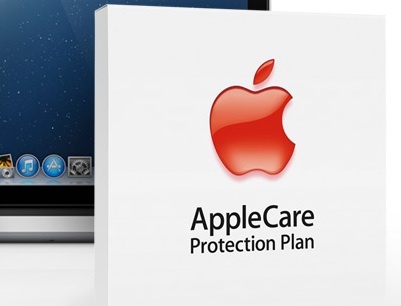 We all hate extended warranties – except for AppleCare. After all, let’s face it: We all hate it when the sales folks at Best Buy (s BBY) try to sweet-talk us into paying those extra $30 or $50 bucks for an extended warranty for a gadget that we are going to replace in a year or two anyway. However, many of us also have no problem with paying for AppleCare, which is essentially the same thing, just done right. And extended warranties are big business. Some estimate that consumers spend up to $25 billion a year on these kinds of warranty deals, even though it’s unclear how much of that is spent on consumer electronics. Amazon is currently offering Kindle customers an extended warranty program from Service Net, a third-party warranty provider that is owned by AIG. (S AIG) Cutting out that middleman could potentially add some nice revenue to Amazon’s bottom line, especially considering that the company’s Kindle Fire tablets are sold more or less at cost. Wait… PCs, networking equipment, CE devices? However, there’s something else that’s interesting about this trademark: the breadth of devices and services mentioned. That kind of wording makes more sense for a company like Apple. Up until now, Amazon has only produced Kindle ebook readers and tablets. Amazon’s Lab126 may be working on a lot more than just tablets and ebook readers. But the trademark filings suggest that it might consider selling warranties for computers, networking gear and other CE devices as well. Offering this under the Kindle brand really only makes sense if the company also started to make its own line of Kindle computers, networking gear and CE devices. There have been persistent rumors in the past that Amazon is working on its own mobile phone, and we reported in September that the company has been snapping up developers with a background in Android-based TV development. Amazon has been working on a number of secret R&D projects at its Bay Area-based Lab126 subsidiary. A few of them might be getting to a point where Amazon is thinking about how to monetize them – and extended warranties could be part of that puzzle. With additional reporting by Laura Hazard Owen. I bought AppleCare because my apple laptop was $2,000 and ipad wad $500. Not sure i would buy an extended warranty on a $200 kindle unless it was really cheap. It’s called boilerplate text. It’s what lawyers (and lazy journalists) do. And charge a lot of money for.